One of the amazing things about Bosnia is that you can experience so many different climates in such a small region. Little known is the fact that not far from the snowy peaks of its’ mountain tops is a true seaside resort. Nestled in a small cove out of reach of the strong winds coming off the Adriatic is Neum, a gem of Bosnia and Herzegovina. Neum is Bosnia’s only town located on the Adriatic coast and a top resort vacation for savvy travelers who want to enjoy the sun without the major crowds of other locations. For quite a small strip of land, it has gained popularity steadily over the past years. The glittering bay offers a lot of opportunities for water sports and tanning, in a fairly secluded location. Travel to Neum by land through the single connection from the hinterlands. You can take the tiny two-lane road through Hutovo to get to this hidden spot, but be careful. Roads can be tricky and drivers can be somewhat unpredictable, so take it slow and take some photos along the way, too. Go to Neum to take excursion boats out on the Adriatic Sea. The coastline is lush and dreamy, and you will feel relaxed amidst blindingly blue sea, tiny black islands, and plenty of sea birds for the avid watcher. Rent a jet ski to zoom along the coast and return in time for a light seafood dinner and a glass of Bosnia and Herzegovina’s national wines. 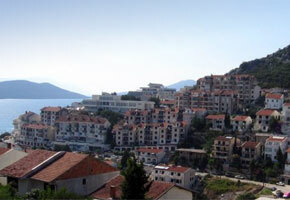 Visit Hutovo, located a short drive away from Neum. Revel in the secluded splendor of the mountains on your way to visit the ruins of Hadzibegova Kula Fortress. This ancient stone fortress originally defended the Ottomans from the Venetians, and this ruin is visible from the road. For those who love ruins, this day trip is a must-do while in the Neum area. Drive to Dubrovnik for a quick trip from Neum. Go big game fishing for Yellow Tail Amberjack, Swordfish, Bluefin Tuna, and Dentex in the deep sea, and then take the afternoon off for a little hiking. You can find fabulous hotels in Neum located along the shoreline. These white, towering buildings are located right next to the seashore and offer sparkling water, a light breeze, and sunny days with a relaxed atmosphere. This area was once reserved for members of the Bosnian elite, but international tourism is back. Major hotels offer packages for lessons, classes, and certification, as well as discounts for rentals. Take advantage of lots of water sports activities, including boating, jet skiing, swimming, and parasailing, for less when you book your hotel room in Neum. A modern hotel in a resort setting near bright blue waters of the Adriatic Sea. Hotel Sunce organizes trips to all the major tourist destinations in and around Neum for your convenience. This four-star hotel has 12 apartments and 8 rooms, and is located right off of the seashore. Be sure to dine in their excellent restaurant to sample traditional cuisine.